Update: You can get a free 8x10 at CVS through October 13 with the code VALENTINE. Use it to print out our DIY I Love You Because ... Free Printable. 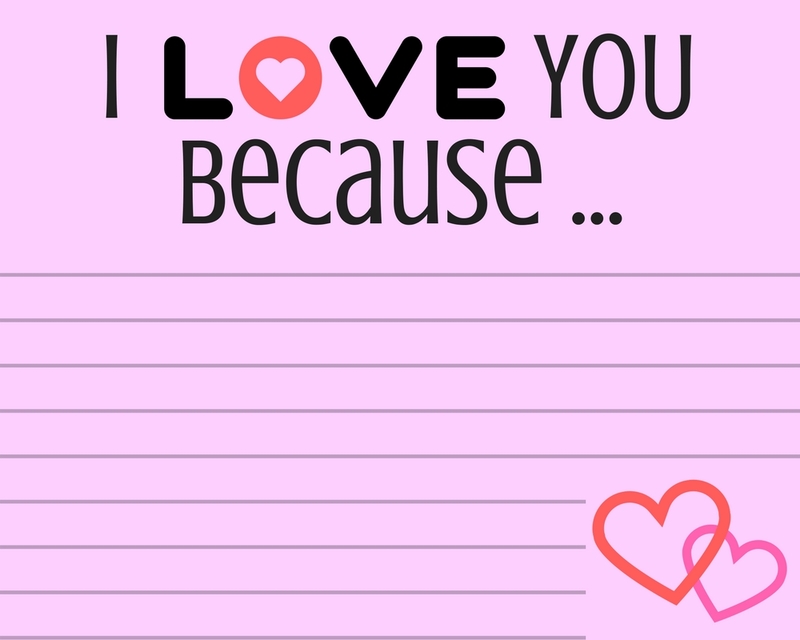 It'll make the perfect last minute Valentine's Day gift. I love things that are cute. They just get me. Anything cute, sentimental, that sort of thing, is just perfect. It works as home decor and as a wedding gift (depending on what side of the wedding invitation you're on). 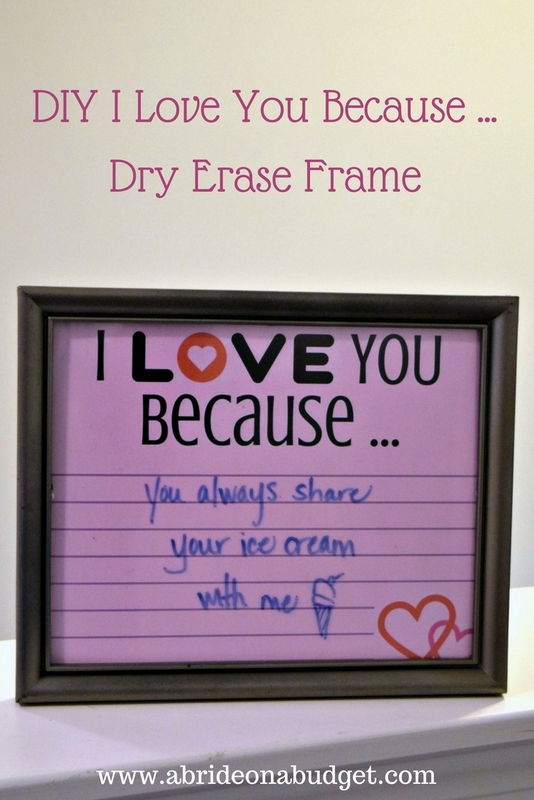 So when my friend suggested the idea of an I Love You Because dry erase frame, I had to jump at putting one together. This frame is super easy to put together, plus a great way to share love notes with you and your honey. 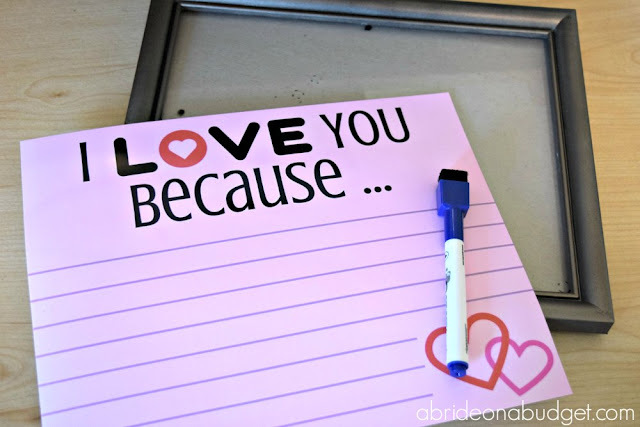 Save our I Love You Because printable from the end of the post. Upload it and have it printed. I would suggest printing it at a local Walgreens instead of at home because it will be better quality there (plus, it will be an ink hog at home). Put the photo in the frame. Every day, use the dry erase market to write a new reason why you love your man or lady. Don't forget to keep an eraser handy so you can change it. To save it, just right click and choose where you want to save it on your computer. When you're ready, upload it and print it. BRIDAL BABBLE: If you were making this I Love You Because dry erase frame today, what would you write on it? 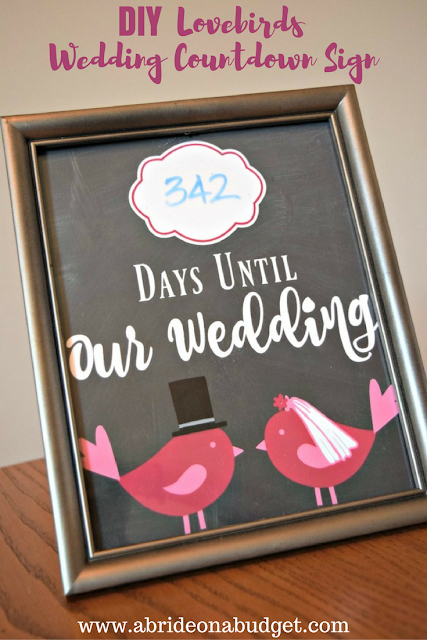 Check out our DIY Lovebirds Wedding Countdown dry erase frame. 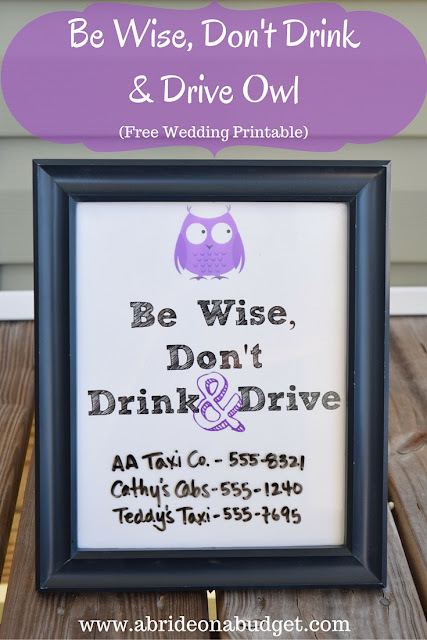 And our Be Wise, Don't Drink & Drive Owl frame. You always share the cutest ideas! 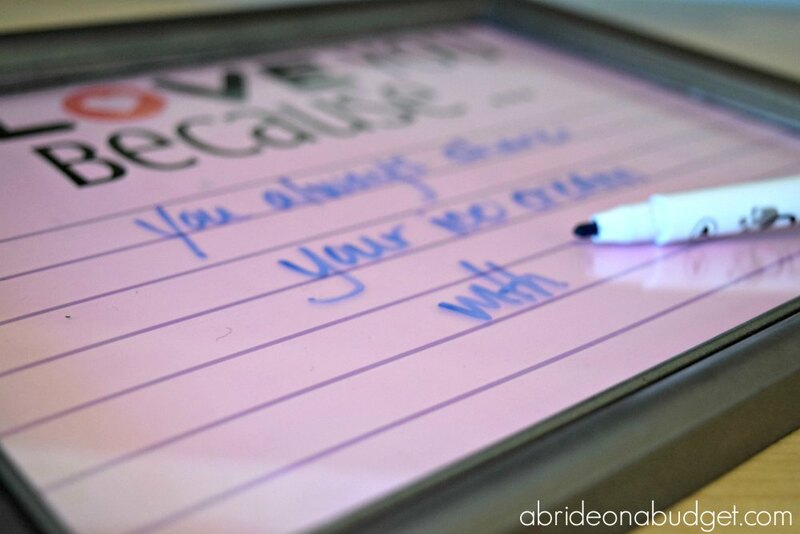 Thank you for sharing with us this week at Celebrate Your Story, have a great weekend. Very sweet idea. Easy enough to make too. Thanks for sharing at DI&Di.